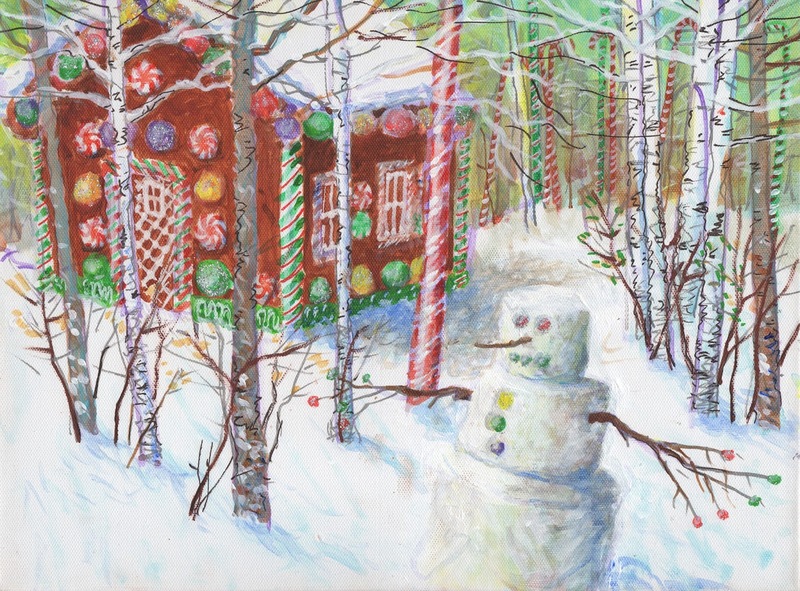 On Saturday, November 21st, we will be painting "Gingerbread Snowman"
Limited to 10 students. The class runs from 2 to 5. Please arrive 15 minutes early. This class will take place in my studio classroom at 2309 Harvest Farm Road, Sykesville.Limited to 10 students. The price is $35 per person, and includes paint, canvas, wine, drinks and snacks. Click on the "Buy Now" button to confirm your spot.